Applegate to Bring an All-Star Lineup of Ballpark Fare to Fans this Summer as First-Ever "Official Natural and Organic Meat of Minor League Baseball™"
BRIDGEWATER, N.J., April 2, 2019 /PRNewswire/ -- Applegate, the nation's leading natural and organic meat brand, and Minor League Baseball™ (MiLB™) have announced a homerun partnership that will bring cleaner options of classic ballpark favorites to stadiums across the country this summer. As the first-ever "Official Natural and Organic Meat of Minor League Baseball," Applegate will be putting in some of its power hitters and serving up Better Flippin' Meat, including THE CLEANER WIENER™ - APPLEGATE NATURALS® Beef Hot Dog and THE GREAT ORGANIC BLEND BURGER™ BEEF BURGER, one of the brand's newest innovations at MiLB ballparks this season. 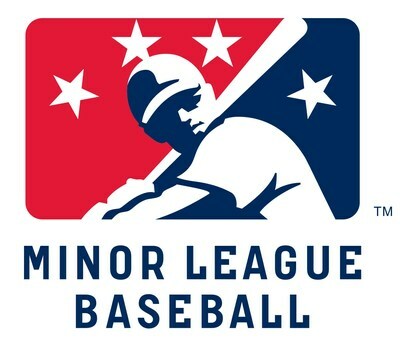 Minor League Baseball, headquartered in St. Petersburg, Florida, is the governing body for all professional baseball teams in the United States, Canada, and the Dominican Republic that are affiliated with Major League Baseball® clubs through their farm systems. As the first-ever “Official Natural and Organic Meat of Minor League Baseball,” Applegate will be putting in some of its power hitters and serving up Better Flippin’ Meat, including THE CLEANER WIENER™ - APPLEGATE NATURALS® Beef Hot Dog and THE GREAT ORGANIC BLEND BURGER™ BEEF BURGER, one of the brand’s newest innovations at MiLB ballparks this season. "We are consistently exploring ways to enhance the Minor League Baseball experience for our fans, and when we identified the opportunity to provide them with cleaner food options at the ballpark, Applegate and their range of products made them an ideal partner," said David Wright, chief marketing and commercial officer at Minor League Baseball. "We are so excited to finally see the Applegate and Minor League Baseball partnership come to life!" said Nicole Glenn, vice president of marketing at Applegate. "We're always looking for ways to offer cleaner options to new audiences, and we have no doubt that our Naturals Beef Hot Dogs and THE GREAT ORGANIC BLEND BURGER™ BEEF BURGERS, are going to knock it out of the park!" Through the revamped menu of cleaner, natural and worry-free options offered by Applegate, MiLB fans now have expanded choices when it comes to a classic ballpark fare. APPLEGATE NATURALS® Beef Hot Dogs have no artificial ingredients or preservatives and are made with 100 percent grass-fed beef, water, salt, and spices. 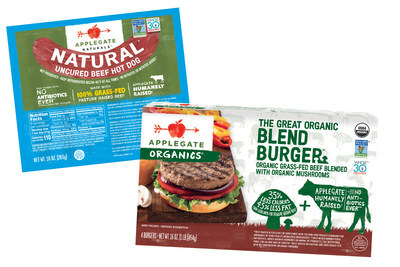 THE GREAT ORGANIC BLEND BURGER™ burgers, a brand-new product line launched by Applegate this March, brings all the flavor that a traditional burger has to offer but is more nutritious, with fewer calories and less fat. Made with just three ingredients - APPLEGATE humanely-raised organic meat, sustainable, organic mushrooms and rosemary extract, it's a game-changer for conscious carnivores and grill masters alike. Both products are also Non-GMO Project Verified. Applegate's ballpark options will allow fans to focus more on how to top their dogs and burgers and worry less about what's in them. To find grocery stores that carry THE CLEANER WIENER™ and THE GREAT ORGANIC BLEND BURGER™ BEEF BURGER to recreate their "Better Flippin' Meat" Applegate experience at home, visit the Applegate product locator.